Misbah Ul Haq is the name that comes instantly to your mind when you talk about the current Pakistan cricket team. In the recent times, the national cricket team of Pakistan has experienced some of the biggest debacles but Misbah Ul Haq had out mastered in almost all of those matches. Consistent innings by Misbah had helped the team many times in saving their prestige on force in the crucial moments and tournaments. Misbah has a close connect with India despite being a Pakistani, as he was born and completed his management from the State of Punjab and has an ancestral connect with the popular Punjabi tribe called Niazi. He is revered for his amazing technique with batting and unrelenting temperament to stick to the ground and deliver. Misbah was a part of the team when Pakistan won the second ever ICC T20 World Cup. He has been leading the side for more than five years now and his personal career and contribution to the team can be labeled as nothing short of legendary. It is the Pakistani team that has failed to utilize the talent and win some matches, and the recent past saw that Misbah’s innings have been the only pillars of the Pakistani team in cricket. Misbah made a comeback to the team to fill in the place of old consistent player Inzamam-Ul-Haq in the T20 world cup of 2007. He was there on the ground when Pakistan lost the match to India. His ODI career was under debacle but the comeback he made in 2007 has changed the history for sure. This talented batsman is known to have no century to his record but his consistency and ability of scoring half centuries almost in every other match makes him a dependable bet. Pakistan is not allowed by BCCI to play IPL. Hence Misbah has been unsold in recent past, when a lot of people and team owners from the franchisees wanted to buy this amazing cricketer and keep him on their side. 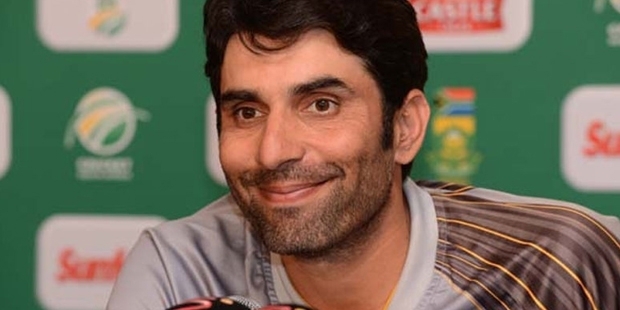 They are assured that Misbah will provide their team with the requisite middle order strength. With 42 international half-centuries, Misbah is on his way to breaking the records of some of the best batsmen Pakistan ever produced. He debuted in Pakistani cricket team in the year of 2003 and soon was dropped from the team because of his inconsistent performance. But Misbah Ul Haq never calls it quits. He keeps playing his game. This made him come back on the scene to become one of the best captains of Pakistan. With the ongoing World Cup series, Misbah had proved his commendable efforts so far. AB de Villiers - Human or Superhuman?